Google takes final step in the shutdown of its Google Buzz service, the company decided to move all your Buzz posts to Google Drive from July 17. Google intimating via email to all Buzz users for taking above process. Google stores two type of files to Google Drive one is Private and another is Public. The private files will be only accessible to you. And the Public file type will be viewable to any one with the link, and may appear in search results with your Google profile (if you’ve linked to your Buzz posts). Existing buzz posts links automatically redirect to Drive. 1) The first type of file will be private, only accessible to you, containing a snapshot of the Google Buzz public and private posts you authored. 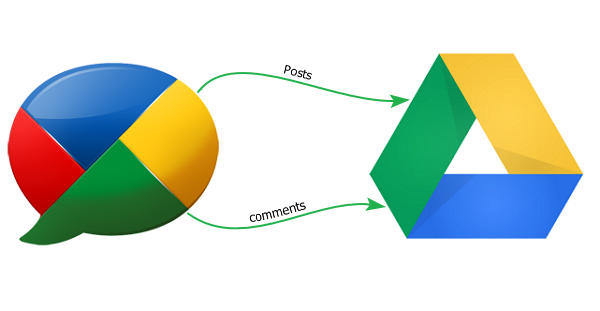 2) The second type of file will contain a copy of only your Google Buzz public posts. By default it will be viewable by anyone with the link, and may appear in search results and on your Google Profile (if you’ve linked to your Buzz posts). Note, any existing links to your Google Buzz content will redirect users to this file. 3) Any comments you made on other users’ posts will only be saved to those users’ files and not to yours. Once the change described in this email is final, only that user will be able to change the sharing settings of those files. This means that if you have commented on another author’s private post, that author could choose to make that post and its comments public. If you would like to avoid that possibility, delete all your Buzz content now. 4) The new Google Drive files will only contain comments from users that previously enabled Google Buzz, and the files will not contain comments that were deleted prior to moving the data to your Google Drive.